We may need to make a lot of difficult decisions in our lives but for a pet owner, one of the hardest is making an end-of-life decision for our little friend. We all recognize that dogs and cats provide us with a lot of unconditional love and we do our best to make sure that we care for them throughout their life. Unfortunately, they tend to have shorter lives and we sometimes make the decision to end their life to prevent any unnecessary suffering on their part. It’s a final act of love that we provide for them when they need it the most. Of course, each individual situation is going to differ from each other and this includes the way that the pet leaves the family. We always make this decision, not because it is convenient but because we feel that we are doing the ‘right thing’. What many pet owners don’t realize, however, is the fact that they may be making this time in an animal’s life more difficult, especially during the last few moments. A veterinarian has provided us with information as to what we should always avoid when it comes to making this end-of-life decision for our pets. It comes from his experience of putting dogs to sleep, and he sees something in the last moments that sometimes breaks his heart. 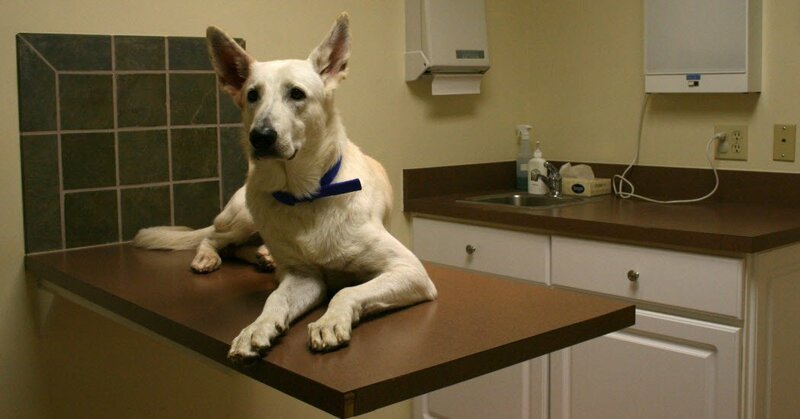 Jessi Dietrich, a Twitter user asked her veterinarian about the worst part of his job. He admits that the hardest part was putting animals to sleep. He then went on to explain more about the euthanasia process. It’s something that all pet owners should understand because the way they handle the situation can make a big difference in how things go. The veterinarian said that nine out of 10 pet owners don’t want to be in the room when the animal is put to sleep. Their pet is left alone during the final moments, the time when they need comfort the most. At that time, the animal may be panicking, not realizing why they are with strangers rather than with someone they have loved through the years. It is that suffering that breaks his heart so often. When the post went online, it struck a chord with many people. Those pet owners shared their experiences of the final goodbye. “He screamed when everyone else touched him so I made sure he was happy and I held my boy and he was purring cause I did,” wrote Kinsey. Our pets provide us with unconditional love throughout their entire lifetime. They deserve to have us there during the last moments. Even if it hurts, make sure that they know you are there for them until the very end.